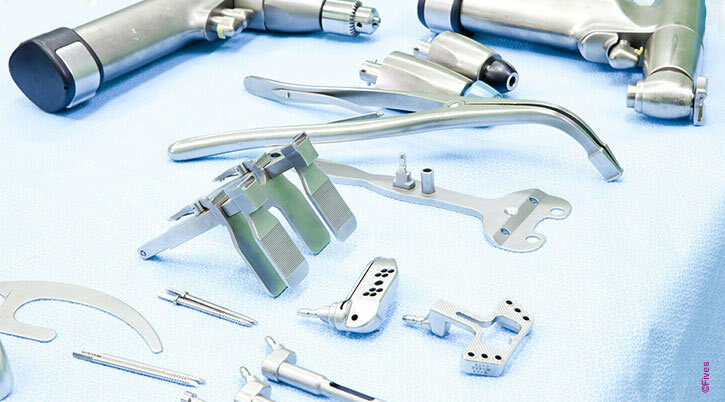 With highly-engineered solutions, Fives supports manufacturers to reach ultimate precision for cutting and grinding of medical devices and surgical implants. Fives provides the highest quality solutions with such products as CITCO tools and Gardner abrasive grinding wheels to handle the most demanding and precise hard machining applications: surgical implants, heart stents, pacemakers, hearing aids, joint replacements, dental implants, surgical bone drills, and medical skull implants. These superabrasive materials offer a cost-effective alternative to conventional cutting tools and abrasive grinding wheels for high-metal removal rates, improved finishes, and extended tool and wheel life in machining ferrous and non-ferrous work pieces. Fives strives to maximize efficiency and quickly deliver effective and customized solutions for specific applications. Fives and its engineering expertise in cutting tools and abrasive grinding wheels are by your side to carry out your toughest applications all over the world. Fives, thanks to CITCO PCD tools, brings the most advanced tools for tooling, turning, boring, grooving, parting, milling and drilling of medical parts. 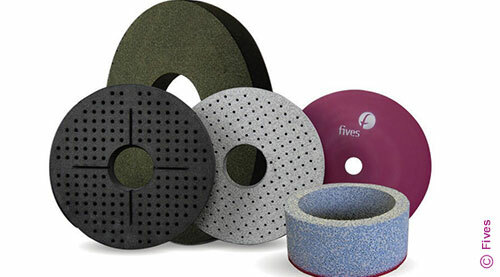 Fives, with the wide variety of Gardner abrasive wheels deliver all the performance expected in the medical sector, to hold tight tolerances with minimal downtime for dressing and wheel changes. Heart stents, catheters, pace makers, hearing aids, surgical bone drills, joint replacements and dental-tooth implants.